Dr. Rodriguez-Menendez has held a broad spectrum of responsibilities in education, administration, research, and consulting. During his career he has served as a public school teacher, university professor, researcher, Chancellor of a university, Dean of Colleges of Psychology, clinical psychologist in private practice, consultant focusing on organizational leadership and professional and regional accreditation, and presently, Chair of the Master of Science in Clinical Psychopharmacology Program. Dr. Rodriguez graduated with a Master of Science degree in Visual Disabilities from Florida State University. He was hired in Miami-Dade County, the nation's fourth largest school district as a special educator, and worked in the public school system with predominantly low income minority students who were physically disabled. In finding better ways to help them, he embarked in the study of Clinical Psychology with a concentration in Neuropsychology. He completed his internship at the teaching hospital of the University of Miami Leonard M. Miller School of Medicine and obtained a post-doctoral fellowship in Pediatric Neuropsychology. He became a licensed psychologist in Florida in 1996. 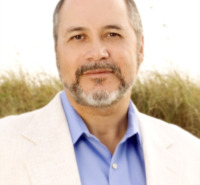 Dr. Rodriguez is a Board Certified Psychologist with the American Board of Professional Psychology, and a Fellow of the American Academy of Clinical Psychology. Until recently, he held physician privileges with Memorial Regional Hospital and Joe DiMaggio's Children's Hospital in Hollywood Florida, Level 1 Neurosurgical Trauma Centers. He is bilingual and has published his research in both English and Spanish. Dr. Rodriguez's research interests include psychopharmacology, neuropsychology, pediatric psychology, mindfulness practices, clinical supervision, competency based assessment, and education. Rodriguez-Menendez, G. (Acce). The Aging Brain: New Frontiers in Neuroscience and Medicine. In D. Maller & K. Langsam (Ed.) The Praeger Handbook of Mental Health and the Aging Community (pp. pp. 64 - 87). Santa Barbara, California: Praeger. Rodriguez-Menendez, G., Dempsey, J., Albizu, T., Power, S. & Campbell, M. (2017). Faculty and Student Perceptions of Clinical Training Experiences in Professional Psychology. Training and Education in Professional Psychology, 11 (1), pp. 1 - 9.